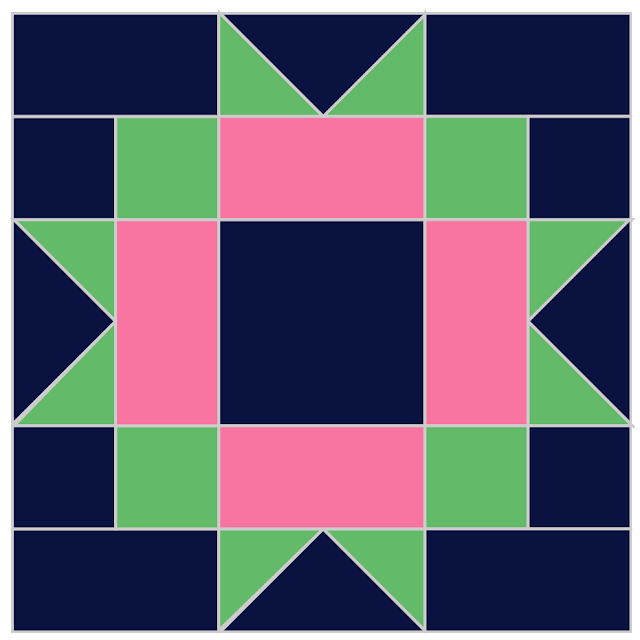 This block is called the Maple Star. I really love how this block looks. The problem with this sampler quilt is that I keep getting ideas on using the blocks for other quilts and there's just not enough time to make them all. But seriously though, I think this would look great alternated with an Irish Chain block. I'm happy to report that my flying geese are improving. This set was made using the 4 at a time method and this time they came out the correct size.